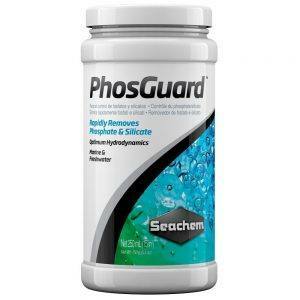 Seachem Phosguard - Spherical for optimal hydrodynamics. 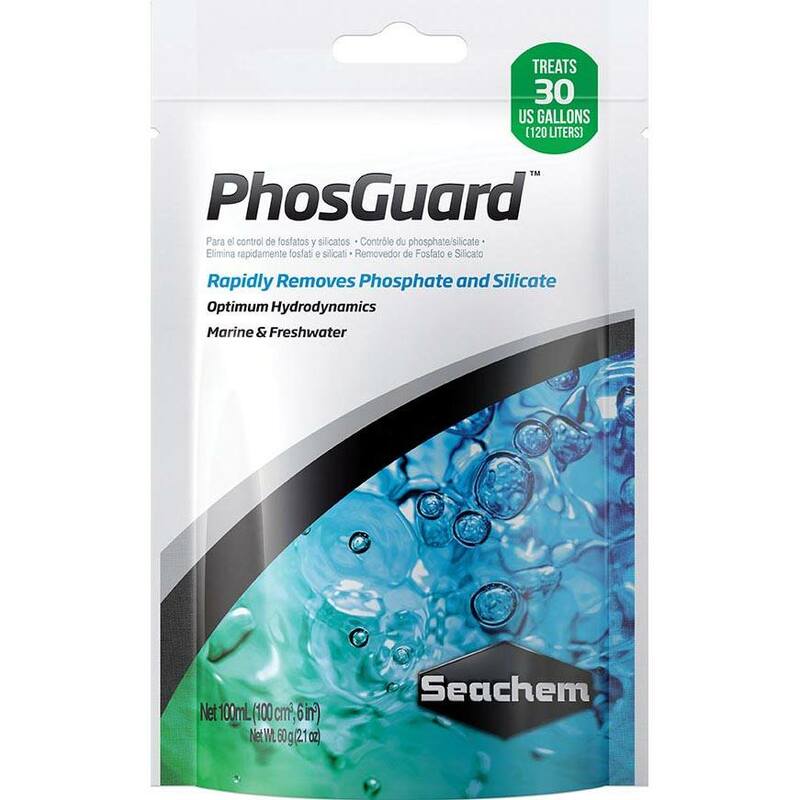 Seachem Phosguard removes silicate & phosphate. 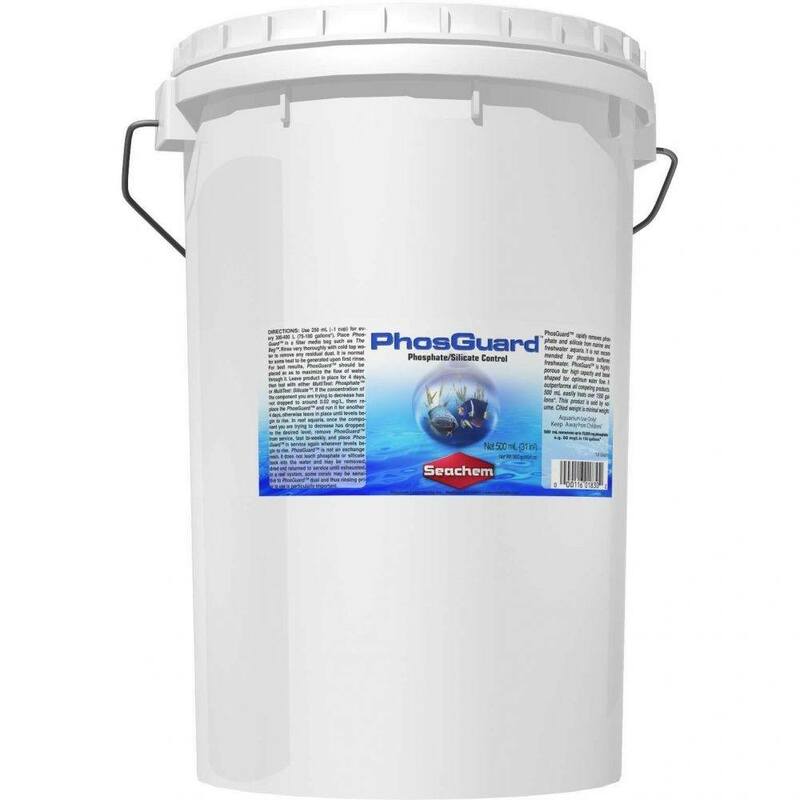 Phosphates are present in every fish tank and if they aren’t maintained properly the levels will continue to rise and rise causing algae growth. They aren’t directly harmful to your fish but the algae blooms which will occur can deplete oxygen which would then effect your fish. 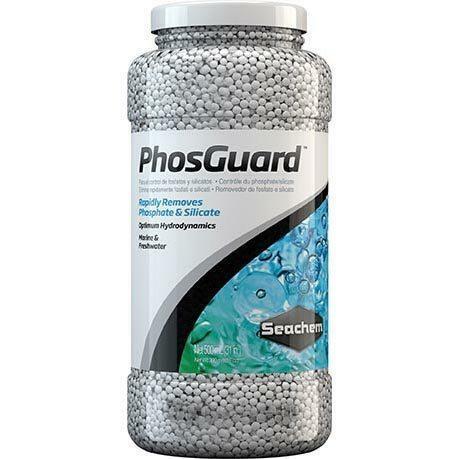 Phosphates naturally occur as wastes are broken down within the aquarium but can also be introduced as anything from food, chemicals to buffer water and the actual water itself could contain phosphate. Seachem PhosGuard quickly removes phosphate and silicate from marine and freshwater tanks. We do not, however, recommend for phosphate buffered freshwater. Seachem PhosGuard is highly porous for high capacity and is also bead-shaped, so you have optimum water flow. 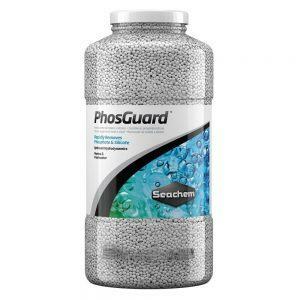 The spherical shape of Seachem Phosguard allows for maximum water flow through the media. 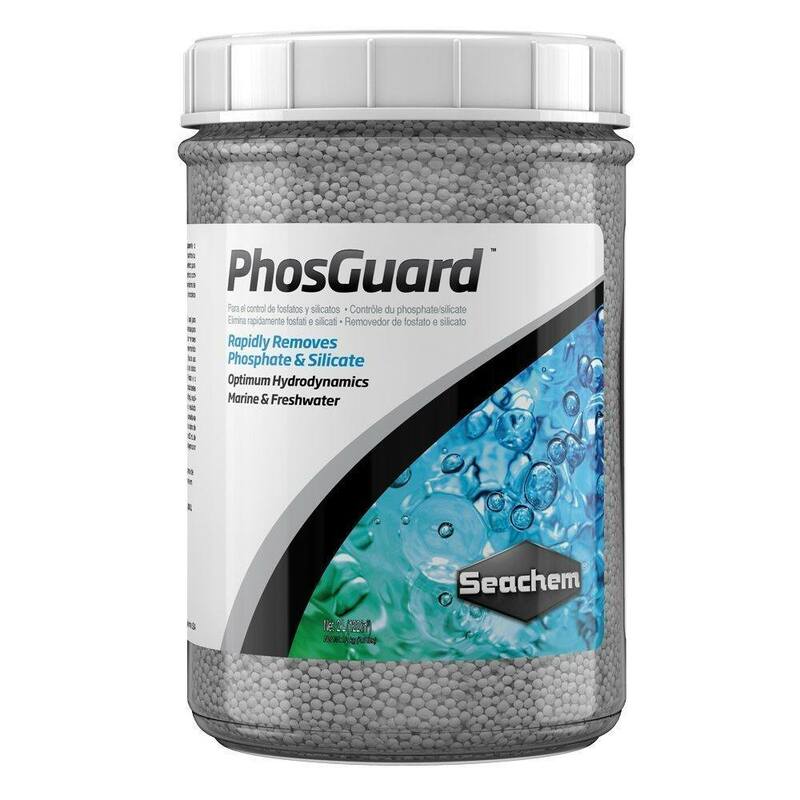 Granular phosphate removers can become compacted, dramatically limiting their capacity to remove phosphate. 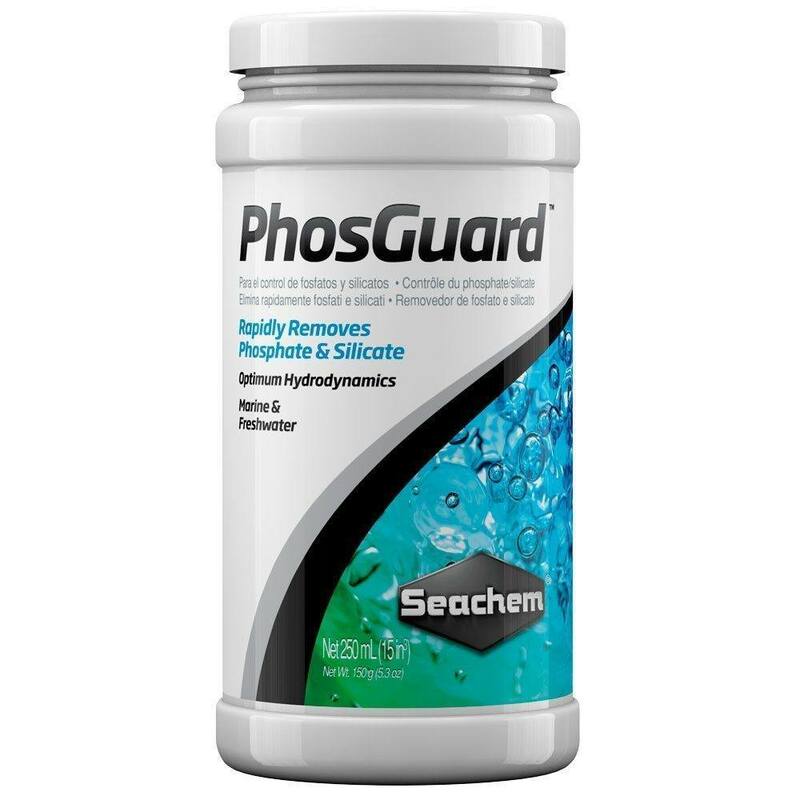 If the media can’t come into contact with the water, it can’t remove phosphate from it! 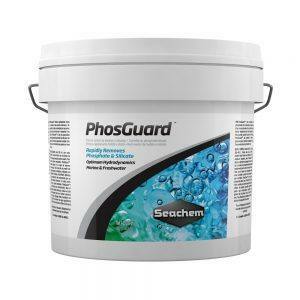 In recent years there has been speculation that aluminium oxide based phosphate removers like Seachem PhosGuard release aluminium into the water. Speculation was that this may damage corals. The evidence to support this claim was largely anecdotal, however. So, through a series of controlled experiments in both freshwater and saltwater, we intended to address both the question of aluminium solubility and aluminium toxicity. Our experiment results show that under reef conditions (pH near 8) no detectable soluble aluminium released from alumina. We did find that under conditions of low pH and high dosage levels, alumina releases soluble aluminium; at three times the label dosage rate, we detected 0.2 mg/L aluminium at a pH of 5.3. Additionally, aluminium oxide is not easily absorbed into the cell to cause negative reactions. 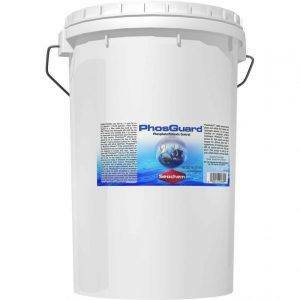 Even at three times the dose of PhosGuard, soft-bodied corals such as Sarcophyton remains unaffected.